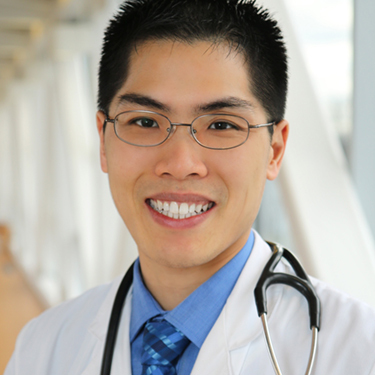 Eugene Lin earned his MD from Northwestern University Feinberg School of Medicine and currently works at Mercy Health – St. Vincent Medical Center where he is board certified in neurology, vascular neurology, and neuroendovascular surgery. He serves as the director for the annual Mercy Health Stroke Symposium and medical director for the Mercy Life Flight Network mobile stroke unit, where he has worked to launch a complex, leading edge treatment. He was closely involved in coordinating the details with both activation of the mobile stroke unit and coordination with medical staff when transporting to local hospitals throughout Lucas County. Lin has been recognized to the Doc Star Hall of Fame in 2017, earned the Dynamic Docs award in 2016, and also the Unsung Hero and The Above and Beyond Awards from the University of Massachusetts Medical School. Lin has been an invited speaker at community and regional conferences including the Partners for Life EMS conference, the Embrace Life Forum, and at local community hospitals and outreach programs.